IN THE BEGINNING they destroyed Egypt’s air force on the ground and knocked out the planes of Jordan, Iraq and Syria. That was Monday. Then they broke Egypt’s massive defences in Sinai. That was Tuesday. Next, they took the old city of Jerusalem and prayed. That was Wednesday. Then they reached the Suez Canal. That was Thursday. They ascended the Golan Heights. That was Friday. Then they took the peaks overlooking the plain of Damascus. In the evening the world declared a ceasefire. That was Saturday. And on the seventh day the soldiers of Israel rested. 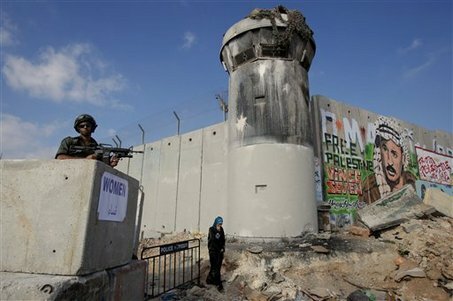 In this month of the commemoration of 50 years of Israeli occupation of the Palestinian territories, Pax Christi International in collaboration with its members, urges the international community to call for the immediate end of the 50-year Israeli occupation and for the parties to reengage in a peace process in compliance with international law. Brussels, June 1st – Beginning with the Six Day war, 5-10 June, 1967, five decades of military occupation in disregard for international laws and U.N. resolutions and the willful expansion of settlements has led to dire conditions on the ground that systematically violate the human rights of the Palestinian people. 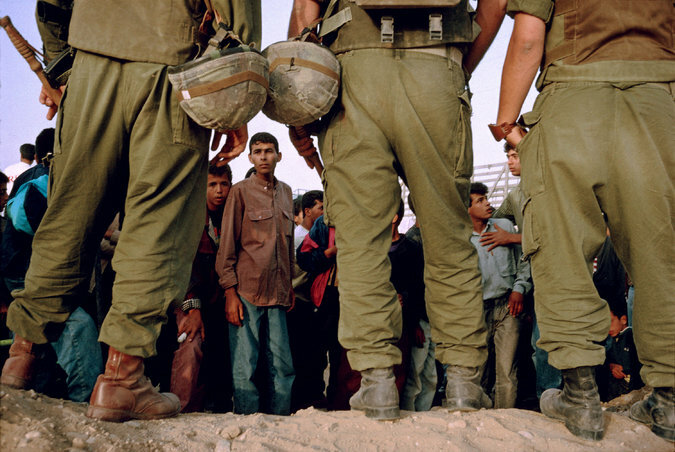 “It is time for the international community to say, ‘Enough!’”, states Pax Christi International, in the light of this month’s 50th anniversary of the occupation. ·impose regulations that create segregation and inequality. As we celebrate 50 years since the Six Day War, with all the wonderful things that came with it, the time has come to correct one major mistake. We need to end the occupation. Please email this article to all my buddies in Berkeley and Columbia Universities. Tell them that they have finally convinced me. Call Yariv Oppenheimer of Peace Now and Jeremy Ben-Ami of J Street and tell them that a miracle has occurred; Shmuel Sackett has agreed to end the occupation. It’s over. No more war, no more bloodshed. The horrible 50 year occupation must end now. For the most part, the Palestinians themselves have done much to support the status quo. The myth upheld by leaders of the Palestinian government is that co-operating with Israel’s occupation — which, in fact, makes the occupation less costly, more invisible to Israelis and easier to sustain — will somehow bring it to an end. This will happen, the theory goes, either because Palestinian good behavior will generate pressure from the contented Israeli public or because Israel, once deprived of excuses, will be forced by the United States and the international community to grant Palestinians their independence. By the same token, it was Palestinian pressure, including mass demonstrations and violence, that precipitated every Israeli withdrawal from Palestinian territory. Prime Minister Yitzhak Rabin, who agreed to the first Israeli pullouts from parts of the West Bank and Gaza, made his initial proposals for Palestinian self-government in 1989, when he was the defence minister attempting to quash the first intifada. Even Yitzhak Shamir, then the prime minister and a vehement opponent of ceding territory to the Arabs, put forward an autonomy plan for Palestinians later that year. Jerusalem – Israelis and Palestinians mark 50 years since the Six-Day War next week as the gap between them further widens, with both sides deeply scarred by years of violence, failed negotiations and broken promises. The anniversary comes as hopes dim for a two-state solution to the Israeli-Palestinian conflict and with heavy scepticism surrounding US President Donald Trump’s pledge to reach the “ultimate deal”. The 1967 conflict that greatly empowered Israel but began its continuing occupation of Palestinian land is seen from starkly different viewpoints. With its stunning victory over neighbouring Arab countries, Israel vastly expanded its territory with global implications. For Israelis, the war meant the culmination of the Jewish people’s 2,000-year quest to return to Jerusalem. Palestinians see the theft of their land and a gradual effort by hardline Israelis to extend their country from the Jordan River to the Mediterranean — leaving no room for a Palestinian state. A significant number of Israelis, including members of Prime Minister Benjamin Netanyahu’s government, openly agree that they want to end the idea of Palestinian statehood. Some argue that Palestinians who want to stay and live in a Jewish state could be allowed, but others should move elsewhere. “We want to try and maybe give them compensation,” said Michael Lafair, a 43-year-old Israeli lawyer who, along with his children, was in Jerusalem last week for events marking Israel’s victory in 1967. Steps away at the Damascus Gate entrance to Jerusalem’s Old City, captured by Israel from Jordan in 1967, there was pride but little hope among Palestinians. The divisions and signs of conflict are easily found, from the disputes over holy sites in Jerusalem to the Israeli separation wall lining the West Bank, not to mention the blockade of the war-weary Gaza Strip. At the same time, Israel has turned itself into the Middle East’s premier military power and the self-proclaimed “start-up nation,” its high-tech industry gaining global influence — a remarkable achievement following the country’s 1948 founding in the wake of the Holocaust. But there are warnings Israel could find itself on a suicide mission, risking an “apartheid” state if it heeds calls from the right to abandon the two-state solution and annex most of the West Bank. With Israeli settlement building continuing and Palestinians divided between president Mahmud Abbas’s Fatah and Hamas, the Islamist movement that runs the Gaza Strip, some wonder whether the two-state solution is already dead. Still, for the international community, an independent Palestinian state alongside Israel remains the only viable option. “We don’t know if the two-state solution is dead or not, but it is certainly getting harder to achieve with each passing year,” Dan Shapiro, US ambassador to Israel under Barack Obama and a senior fellow at Tel Aviv’s Institute for National Security Studies, told AFP. 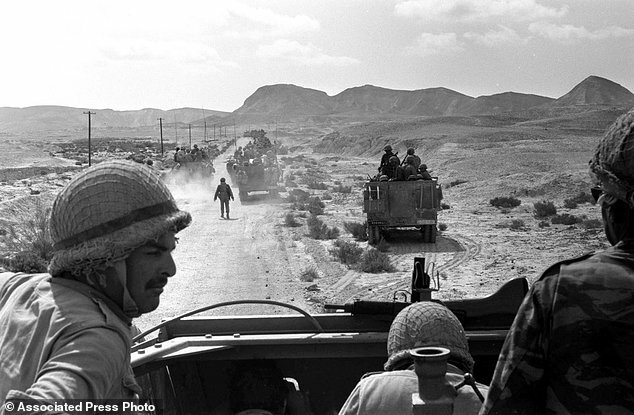 The 1967 war was a triumph for Israel, which defeated Egypt, Jordan and Syria in fighting that lasted from June 5 to 10. In doing so, it captured east Jerusalem, the West Bank, the Gaza Strip, the Sinai Peninsula and the Golan Heights. Israel would later sign historic peace agreements with Egypt and Jordan, but its conflict with the Palestinians who populated east Jerusalem, the West Bank and the Gaza Strip would worsen. A first intifada, or uprising, erupted in 1987 and lasted until 1993. It was followed by the Oslo accords and a handshake between Palestinian leader Yasser Arafat and Israeli prime minister Yitzhak Rabin, leading to the peace process and enormous hope. But Rabin was assassinated by a Jewish extremist in 1995 and another, far more violent intifada broke out in 2000. Netanyahu’s current government is seen as the most right-wing in Israel’s history, and the influence of the country’s pro-peace camp has severely waned. On the Palestinian side, president Mahmud Abbas is 82 and unpopular. Abbas’s rival Hamas has sought to soften its image but remains firm in its position that it will not recognise Israel. Peace efforts have meanwhile gone nowhere since a US-led initiative collapsed in April 2014. A recent survey said 78 percent of Israelis think there is no chance of a peace agreement in the foreseeable future. Another poll found 60 percent of Palestinians believe the two-state solution is no longer viable. Aliza Lavie, an Israeli parliament member from the centrist Yesh Atid party, said she still supports a two-state solution, but her country must be realistic. It must not sacrifice its security, said the 52-year-old who calls the disputed city of Jerusalem “our capital, our heart”. “We should come back to the table and find a solution,” she said. “This is not something abstract or 3,000 years ago,” the 70-year-old told AFP. NEW YORK – It was a star-studded summit, the likes of which are unimaginable today. Virtually every movie and TV star with even the slightest connection to Judaism was at the Hollywood Bowl that particular Sunday: Kirk Douglas and Frank Sinatra were there; Barbra Streisand urged the 40,000 attending the Rally For Israel’s Survival to back their love for Israel with donations. That June 11, 1967 event took place just hours after the conclusion of the Six-Day War. Fifty years on, American Jewry is responding to the anniversary of Israel’s victory and reunification of Jerusalem in ways that reflect the community’s deeply divergent approaches to Israel’s occupation of the West Bank and East Jerusalem. For most, it is either a joyful day or one to mark with sadness. Few American Jewish communities are even attempting to integrate both realities. For those on the right of the Jewish political spectrum – many of whom are Orthodox Jews – the 50th anniversary will be a moment of unabashed celebration. Some 3,000 Jews from around the world, including 500 from the United States, are participating in a World Mizrachi Movement trip to the Israeli capital for Jerusalem Day, which falls on May 24. For many other American Jews, though, the anniversary marks the start of the occupation and remains a deeply complicated and conflicted milestone. Some see nothing at all to celebrate. “What was once seen as an unmitigated blessing has come to be seen as a very mixed blessing,” said Rabbi Edward Feinstein, leader of Valley Beth Shalom, a Conservative synagogue in Encino, California, who attended the Hollywood Bowl rally in 1967 a month after his bar mitzvah. “It’s not a complicated day” for the Orthodox community, said Avital Chizhik-Goldschmidt, director of media strategy for the Orthodox Union (and occasional Haaretz contributor). “The only drama over Yom Yerushalayim [the Hebrew term for Jerusalem Day] has nothing to do with the occupation,” she said, “but rather whether you say Hallel or not,” referring to the traditional prayer of praise recited to honour miracles that took place in Israel. It’s “not just a spiritual celebration, not just recognition that redemption has begun, but also that the Jewish people are in a safer place, that Jewish blood is no longer cheap,” he noted. The nonprofit New Israel Fund is among others taking a very different approach. It’s kicking off a campaign called #50isEnough, which includes a book tour by Michael Chabon and Ayelet Waldman, who are among contributors to “Kingdom of Olives and Ash,” a new anthology of anti-occupation essays. The crowd rallied and marched from Franklin Square before chaining themselves to two of the primary entrances of the convention centre, where the AIPAC conference is being held. The people who dropped the banner inside were roughly escorted out by AIPAC security while singing “Lo Yisa Goy”, a Jewish song about peace. The grassroots network of mostly millennial IfNotNow members will hold demonstrations in 11 cities against what they regard as Jewish establishment groups’ complicity in the occupation. IfNotNow will not be alone demonstrating: T’ruah: the Rabbinic Call for Human Rights will be holding prayer vigils outside Israel’s embassy in Washington and consulate in New York on Jerusalem Day. “It’s possible to celebrate that Israel survived that incredibly tense moment and that we do have access to Jerusalem, and still do some real cheshbon hanefesh, some inner accounting, and maybe some solemn commemoration about what we’ve done over the past 50 years regarding the Palestinians,” said T’ruah Executive Director Rabbi Jill Jacobs. The anniversary puts us “in a heightened moment,” said Jeremy Burton, executive director of the Jewish Community Relations Council of Greater Boston, which is supporting the Boston Federation’s year-long Community israel Dialogue to bring people together in conversation around Israel. The JCRC is also focusing more on publicly backing a two-state solution. Because the anniversary is loaded for so many people – emotionally, ethically and morally – those producing materials intended for broad consumption have been extraordinarily careful about the language they use. Rabbi Michael Adam Latz, leader of Shir Tikvah Congregation in Minneapolis, calls it the anniversary of “the matzav [situation], for lack of a better word. “I am deeply grateful for the courage of the people who created the modern State of Israel. I celebrate having a Jewish land and Jewish people. And I am deeply pained by the occupation,” he said. “It’s a moral wound to the Jewish people. We are increasingly living in a world where people want moral simplicity, and this is morally complicated. “We specifically called it a resource for 50 years, not a resource about occupation,” said Jacobs. The term occupation isn’t even in the vocabulary of Rabbi Gideon Shloush, the executive vice president of Religious Zionists of America. He compares Jewish sovereignty of the “Land of Israel” to owners returning to property from which they were temporarily exiled. On May 17, Shloush will lead 100 people, representing 25 Jewish organizations, on a trip to Washington, where the House of Representatives is expected to pass a bipartisan resolution celebrating the 50th anniversary of Jerusalem’s reunification. Participating groups range from the Zionist Organization of America to the Conservative movement’s Zionist arm, Mercaz, to Hadassah, he said. Some 220 Orthodox synagogues have agreed to run activities celebrating the 50th anniversary around May 24, added Shloush. And about 200 congregations have signed up for a series of video lectures distributed by the OU, which explore the religious meaning of Jerusalem’s reunification. 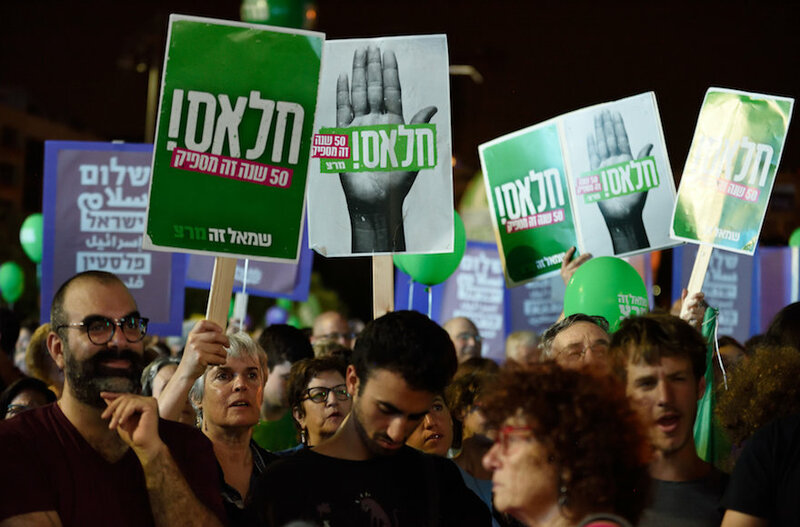 The anti-settlement group Peace Now organized Saturday’s rally in Rabin Square under the banner of “Two States – One Hope,” which included left-wing Israeli political parties such as the Zionist Union and Meretz, as well as several other left-wing organizations like the New Israel Fund. Liberal artists including Balkan Beat Box and singer Achinoam Nini performed at the rally. Crowd estimates ranged from 15,000 to 20,000, with organizers putting the crowd total at 30,000. A letter from Palestinian Authority President Mahmoud Abbas to the organizers was read on stage. Peace Now Director General Avi Buskila also slammed the current government. The rally came days after the country celebrated 50 years since the reunification of Jerusalem during the Six-Day War. This morning (Thursday) Hagai El-Ad met with Danish Foreign Minister Anders Samuelsen; tomorrow he meets with the ambassadors of the 28 EU states in Brussels. B’Tselem Executive Director Hagai El-Ad is set to speak in a series of events being held in Europe to mark 50 years since Israel’s occupation of the Palestinian territories began. El-Ad will also meet with decision-makers, diplomats and activists to discuss the determined action needed now to end the occupation. This morning, Thursday 1 June, El-Ad met with Danish Minister of Foreign Affairs Anders Samuelsen in Copenhagen. Tomorrow, El-Ad will meet with the ambassadors of the 28 EU member states, in a meeting of the Political and Security Committee (PSC), the body tasked with monitoring the implementation of EU foreign and security policy. Shawan Jabarin, the general director of Palestinian human rights NGO Al-Haq, will also attend the PSC meeting. Delegates from Gaza-based human rights organizations were also invited to participate, but their arrival depends on Israel’s willingness to open a crack in its ten-year blockade over Gaza to let them out. On Tuesday, at 6:30 PM (Brussels time), the directors of the organizations will attend a public event with former French Ambassador Pierre Vimont at the BOZAR Center in Brussels. Early this week, Prime Minister Benjamin Netanyahu declared he would not meet with leaders who meet with organizations that work toward ending the occupation. This is yet another step taken by the Israeli government in its efforts to silence those who oppose its policies: the media, activists, academics, artists and human rights organizations. El-Ad says he will use his meetings to clarify that ending the occupation is pro-Israel, pro-Palestinian, and pro-justice. “The non-violent path to ending the occupation at the present time is international action against it. Without international action, the violence will go on unabated, and so will the oppression, the injustice and the fear. Upholding human rights and fundamental freedoms is a human responsibility anywhere and at any time. Europe has a unique moral responsibility toward Israel’s security, but our security cannot be based on the oppression of Palestinians. In fact, their oppression is the foundation for our lack of security”. The meetings will take place over the next few days in Brussels, Copenhagen and Stockholm. Today, Thursday, at 4:00 PM (Copenhagen time), El-Ad and Jabarin will speak at a public event hosted by leading Danish newspaper Politiken. The English language event, entitled, “50 Years of Occupation” will be moderated by Anders Jerichow, the newspaper’s Middle East correspondent. The concrete walls, watch-towers and checkpoints that blemish the land of Israel and the oPt clearly declare their permanence whatever the apologists declare. Let’s assume the occupation is justified. Let’s also say that Israel has no choice. Let’s not even call it an occupation. Let’s say it was recognized by international law and that the world has applauded it. Let’s assume that the Palestinians are grateful for its presence. Nevertheless, a small problem still hovers over it: the whole thing is based entirely on lies. From beginning to ever-receding end, it’s all a pack of lies. There is not one word of truth associated with it. Were it not for these lies it would have imploded in its rottenness a long time ago. Were it not for these lies, it’s doubtful if it would have ever come into being. These lies, some of which the right takes pride in (“for the sake of the Land of Israel it’s permissible to lie”), are enough to make any decent person recoil in revulsion. One doesn’t need its other horrors to be convinced of this. It began with the question of what to call the territories. On Israel Radio it was decided to use the term “temporarily-held territories.” This was lie No. 1, implying that the occupation was temporary and that Israel intended to evacuate these territories, that they were only a bargaining chip in the quest for peace. This is probably the biggest lie and is certainly the most decisive one. It is the one that has enabled the celebration of its jubilee anniversary. 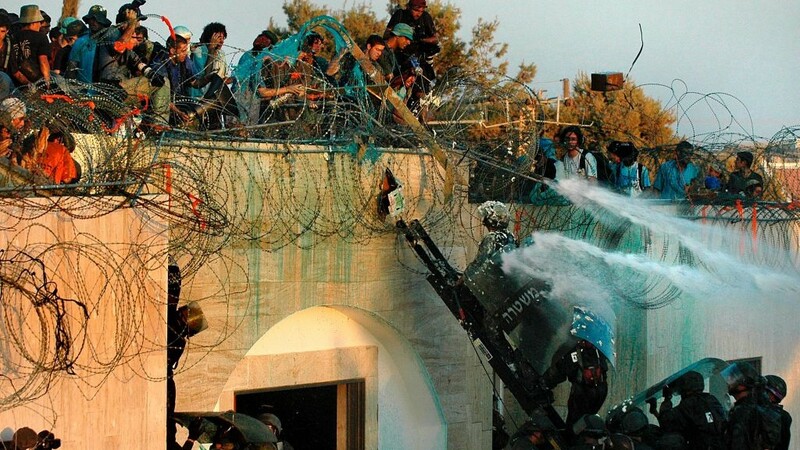 The truth is that Israel never intended to end the occupation. Its alleged temporariness only put the world to sleep with its deceit. The second major lie was the argument that the occupation serves the security interests of Israel, that it’s a self-defence measure by a helpless nation beset by enemies. The third lie was the “peace process,” which never really took place, and which in any case was only meant to buy the occupation more time. This lie had many legs. The world was an accomplice, continuously lying to itself. There were arguments, presentations of maps (all of them alike), peace conferences were held with numerous rounds of talks and summits, with envoys rushing back and forth, and mainly empty patter. These were all based on a lie, which was the assumption that Israel even contemplated ending the occupation. The settlers lied and the politicians lied, the army and the Civil Administration in the territories lied – they all lied to the world and to themselves. From the protection of an antenna tower grew a mega-settlement and from a weekend at that hotel grew the worst of the lot. The cabinet members who ratified, the Knesset members who nodded and winked, the officers who signed and the journalists who whitewashed, they all knew the truth. The Americans who “condemned” and the Europeans who were “infuriated,” the UN General Assembly that “called on” and the Security Council which “decided,” none of them ever had any intention of following this up with any action. The world is also lying to itself. It’s convenient for everyone this way. It’s also convenient to issue the endless daily lies that cover up the crimes committed by the Israel Defence Forces, the Border Police, the Shin Bet, the Prison Service and the Civil Administration – the entire apparatus of occupation. It’s convenient to use sanitized language, the language of the occupier so beloved by the media, the same language it uses to describe their excuses and self-justifications. There is no whitewashing in Israel like the one describing the occupation and there is no other broad coalition that expands and supports it with such devotion. The only democracy in the Middle East that employs a brutal military tyranny and the most moral army that kills more than 500 children and 250 women in one summer – can anyone conceive of a bigger lie than this? Can anyone think of a greater self-deception than the prevailing opinion in Israel, by which all this was forced upon us, that we didn’t want this, that the Arabs are to blame? And we still haven’t mentioned the two-state lie and the lie about peace-seeking Israel, the lies about the 1948 Nakba and the “purity” of our arms in that war, the lie about the whole world being against us and the lie about both sides being to blame. Since Golda Meir’s “we’ll never forgive the Arabs for forcing our children to kill them” to “a nation cannot be an occupier on its own land”, lies keep following lies. It hasn’t stopped to this day. Fifty years of occupation, fifty shades of mendacity. And now? Another fifty years?